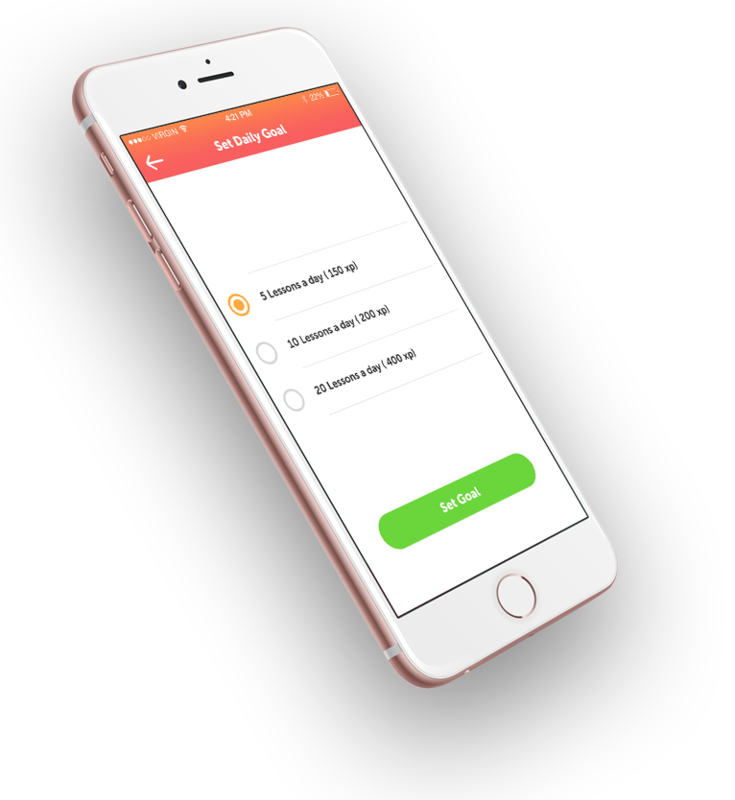 Tired of Boring Online Classes and lifeless Quran apps? That’s why Quran I.Q is crammed with rich engaging games designed to boost your understanding and prevent you from becoming a flashcard flipping zombie. Practice speaking, reading, listening and writing all while playing a game. You will improve your vocabulary and grammar, starting with Basic verbs, phrases, sentences, and learn new words daily. Quran I.Q’s confidence-based repetition technique is proven to help you learn faster, and be more efficient in the way you learn to understand the Quran. What normally takes month’s, But now only take weeks. With 1000+ words to learn, 100’s of levels to master and countless hours of addictive content, this is the go-to app for understanding the Quran. Don’t be intimidated to get started. Most people say their biggest regret is not starting sooner! 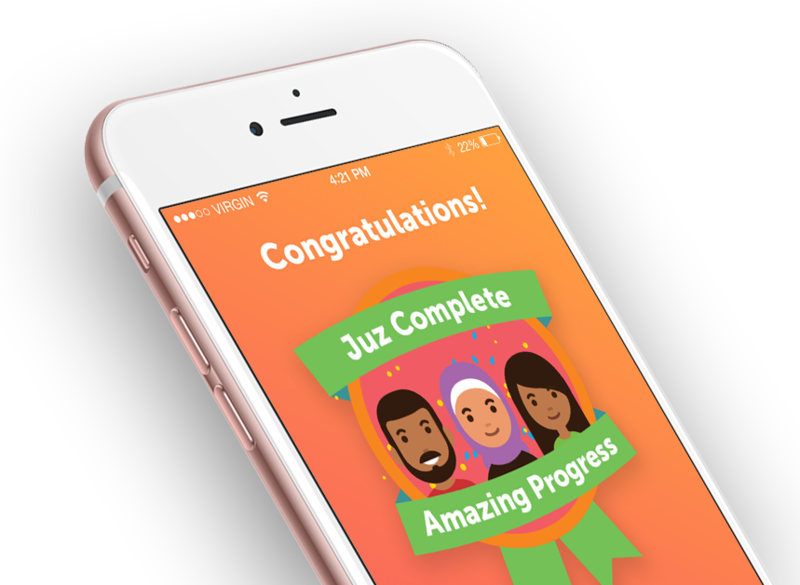 Download the free app and start your journey of understanding today! 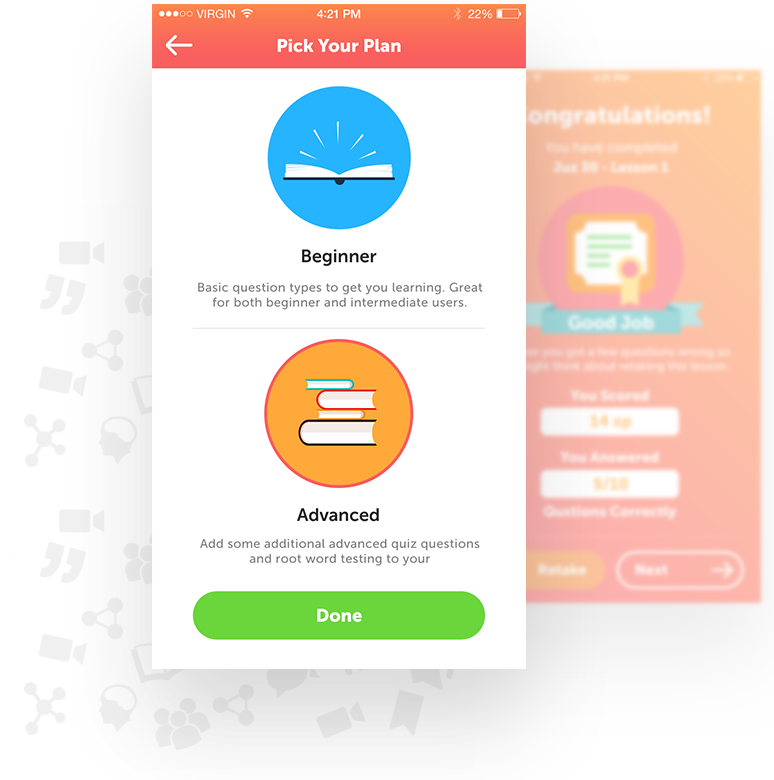 Learn Arabic with lessons taught through visual and audio aids, Quizzes and a companion YouTube video series. 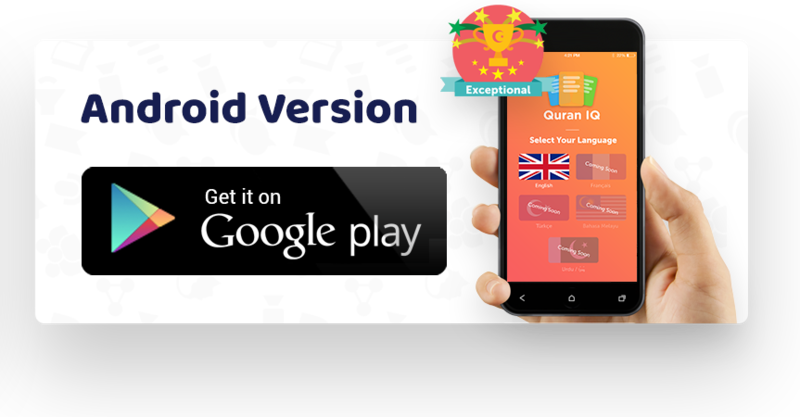 Quran IQ makes learning to read Arabic easy, with simple words, phrases and meanings from the Holy Quran aiding in learning and memorization. Grammar, pronunciation and more are covered in a fun, simple guidebook. 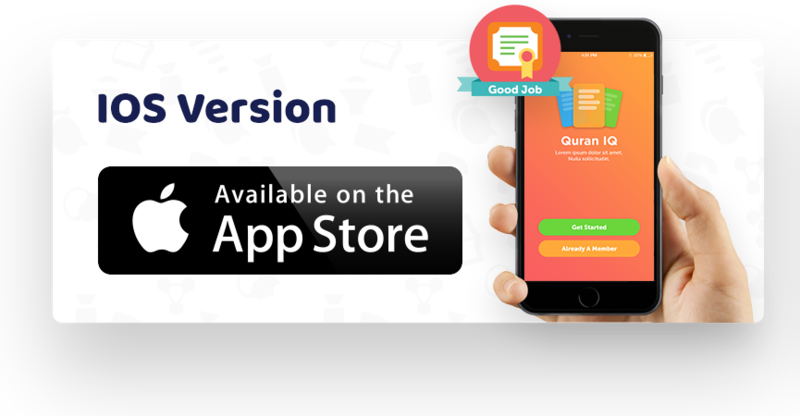 Memorize verses, deepen your knowledge and become your own teacher by downloading Quran IQ! Begin your journey to enhance your Qur’anic Arabic knowledge today. With over 30,000 students already using our app and more joining everyday. Finally an Ap that actually teaches! MashaAllah please continue to fine tune this ap, is worth far more than what you could charge. Excellent app Mashallah!!! Makes Learning Quranic Arabic such a breeze and pleasure. The full version is a must have! May Allah reward the developers of this app abundantly IA. It’s time to give your vocab a total body workout and test your Quran IQ. 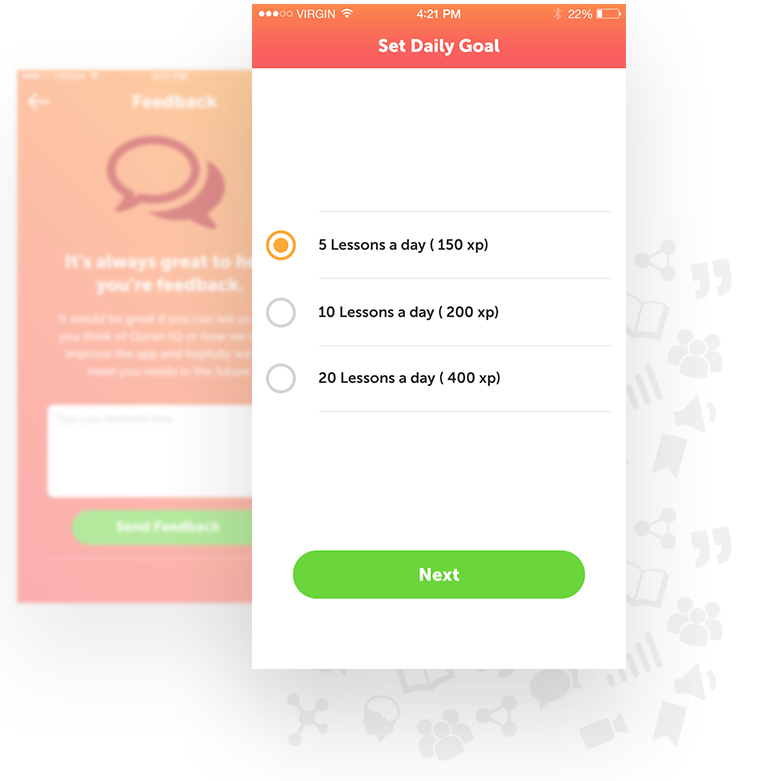 You will iprove your vocabulary and grammar, starting with basic verbs, sentences and learn new words daily.